An aura of mystery surrounds the Galápagos Islands, located off South America’s coast in the Pacific Ocean. Why are so many species of animals found only on these islands? Why do they play such a prominent role in the debate over origins? As creationists, we must frequently remind detractors that we do not deny that species vary, change, and even appear over time. The biodiversity represented in the 8.7 million or so species in the world is a testament, not to random chance processes, but to the genetic variability and potential for diversification within the created kinds. Is Fixity of Species Biblical? Before the time of Charles Darwin, a false idea had crept into the church—the belief in the “fixity” or “immutability” of species. According to this view, each species was created in precisely the same form that we find it today. The Bible nowhere teaches that species are fixed and unchanging. While biologists debate what constitutes a species, the Bible alludes to a much broader category, called a “kind.” The biblical kind often includes many different species, but they still belong to the same family. Nine out of ten species alive today have arisen in the last 200,000 years, according to a genetic study looking at select portions of DNA from 100,000 species. Evolutionists seek to explain the origin of species from a single, hypothetical, primordial life-form by means of progressive change and natural selection. 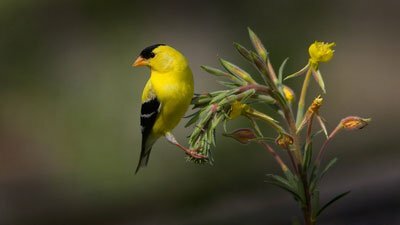 Why Don’t More People Accept the Young-Earth View of Speciation? All of these data together lead to testable scientific predictions that put the evolutionary and old-earth creation models to shame. 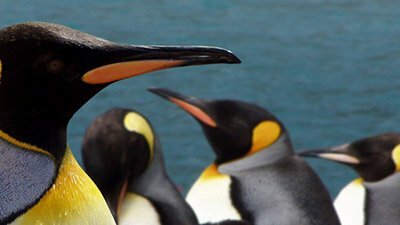 Did Natural Selection Play a Role in Speciation? When God created the kinds, He frontloaded them with genetic differences—with the potential to form all sorts of new species and varieties. A scientist with a biblical worldview has to account for the different species of birds found today in each created bird kind from the Flood to the present. This study shows that created heterozygosity, together with natural processes that are observable, is sufficient to account for species’ diversity. If Keathley is unable or unwilling to get the most basic facts right about his opponents, should he be taken seriously when he tries to criticize them? 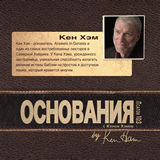 Does Ken Ham Embrace Evolution? Kenneth Keathley distinguishes our view from universal common ancestry, but putting “Ken Ham Embraces Evolution” as the title of his post is highly misleading. If evolutionists really spoke and wrote only about observable variation within kind, there would be no creation-evolution controversy. As researchers sequence the DNA of more organisms, they find species (like the red wolf) they called unique physically are not so unique genetically. The mechanism of speciation remains one of the most contested scientific questions among both evolutionists and creationists. 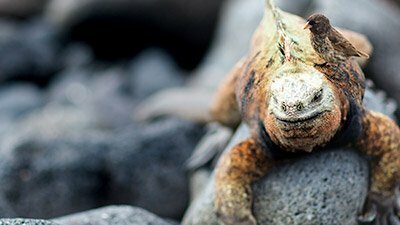 The Galápagos Islands are a scientist’s dream come true. Sizeable Sturgeons Set Evolutionary Speed Records? Sturgeon, thought to exist in only around 29 species worldwide, have long been considered living fossils. Lots more loris species than previously thought, all sweating out their survival. 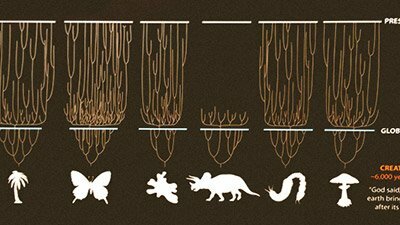 Does speciation really demonstrate “evolution’s power”? If you swim with African crocodiles, better check their I.D. first. Classification scheme is key to species count. Nomadic lice hitching a ride on flies direct the course of evolution. Hmmm. The venom gland in a poisonous mollusk sheds light on the origin of defense/attack structures. Will Bennett's "Chaos Theory of Evolution" Catch On? Only time will tell whether Keith Bennett’s “chaos theory of evolution” will catch on, but we’ll at least give his new idea a listen. Killer whales “are still evolving, and quickly,” BBC News reports. But is it really so? Some say dogs are man’s best friend, and that seems to be true for creationists as well. The kangaroo may be an Australian icon, but according to some scientists, kangaroos and other marsupials have American roots. 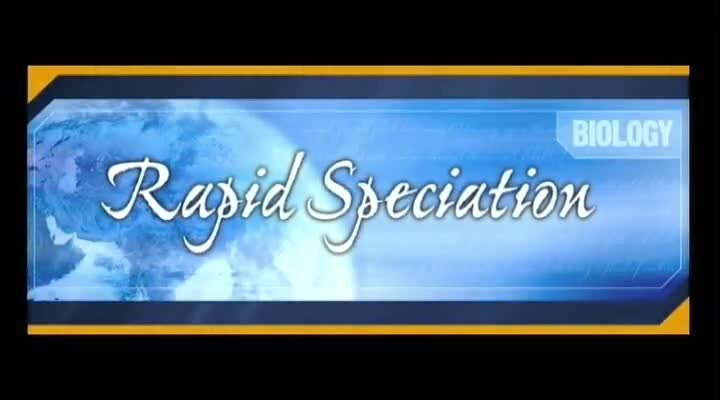 Rapid speciation (multiple species descending from a single population) is often cited as confirmation of the creation worldview. Can we say the same when no speciation occurs? 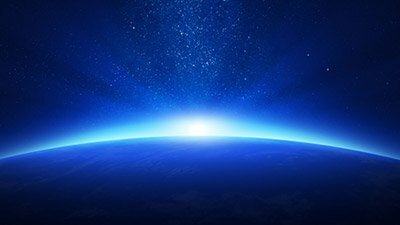 If molecules-to-man evolution is a myth, why does evolution seem to explain some scientific observations? Are British birders behind the origin of a new blackcap species? Scientists have watched as a new species is “born”—or is that “evolved”?—on one of the Galapagos Islands, home of Darwin’s famous finches. The scene is reminiscent of a movie: intrepid explorers pierce the wilderness and stumble upon a trove of amazing species rarely—if ever—seen before. “Mammals are special,” declares the leader of a new study on animal success rates. Just what does he mean? Due to a difference in a single gene, one bird species is splitting into two. Does this fit with the evolution model or the Genesis model of created kinds? The Lerista skink is an exciting example of variation within a kind. In the early 1700s, if someone said something about a “species” or “genus,” it would have had nothing to do with classification systems. The Caspian tiger was dead—but now it’s alive? It seems obvious to everyone today that species change. The scientific world is still debating the nature of species. Evolution observed in nature—again! Will it convince us this time? Darwin fans fret no more. From the climes of Canada comes definitive proof of evolution in action. At least, that’s what the headline says. Whether to lump or split species is an ongoing debate among biologists. 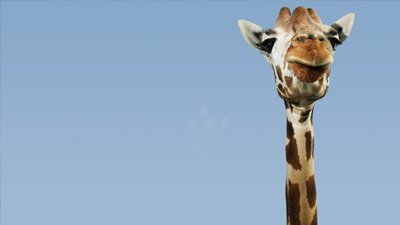 The giraffe, the world’s tallest animal, may not be a single species but instead may contain several species, according to a report in BMC Biology. Rapid speciation occurs to a butterfly population on an island in the South Pacific. A recent evolutionary finding from Central and South America lends support to creationists’ post-Flood speciation model. Researchers have discovered parasites that are helpful rather than harmful.